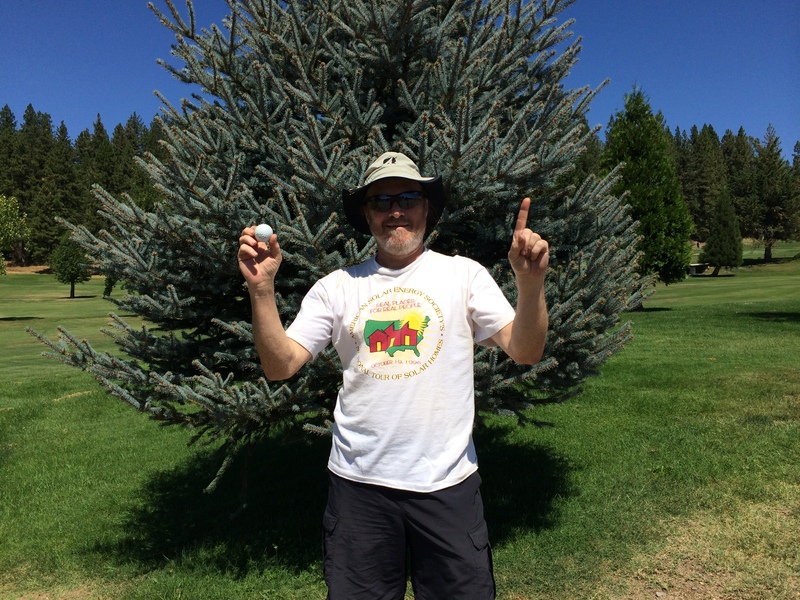 Congratulations to Dave Almassy, who scored his first Hole in One today during Men’s Club Play. Dave used a 4-hybrid to find the bottom of the cup on Hole #14, playing today at 175 yards. Dave “might” have enjoyed a beverage afterwards with the Men’s Club and his playing partners George Hansen, Bob Alvarez and Jim Meshwert. Well done, Dave! Well Done! Dave had his first Hole in One today on #14. Congratulations, Dave!